from a point P perpendiculars PM,PN. r drawn. to X,y. axes respectively. 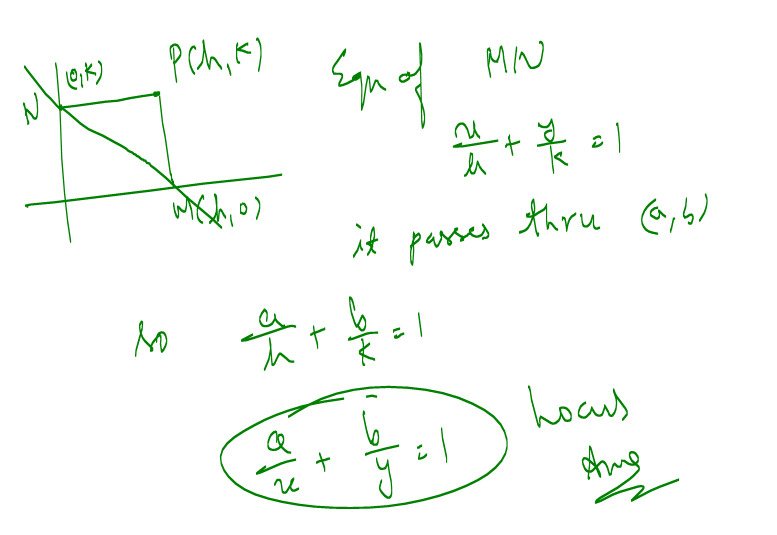 if MN passes through fixed point (a,b) then the locus of P is.?? ?